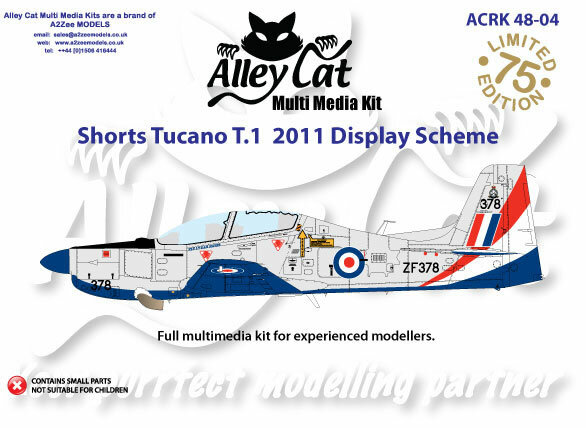 Alistair from A2Zee Models has sent these Preview images of the new schemes for the Alley Cat 1/48 scale Tucano. 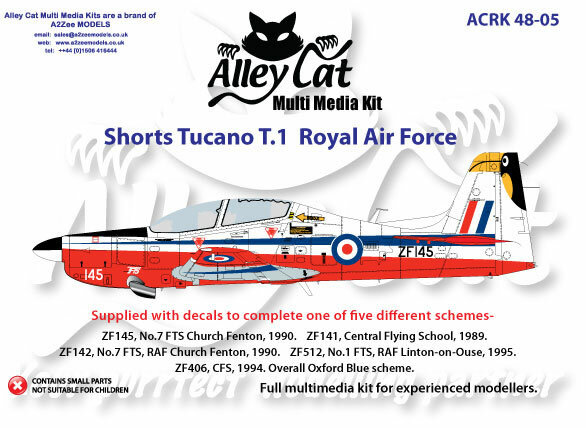 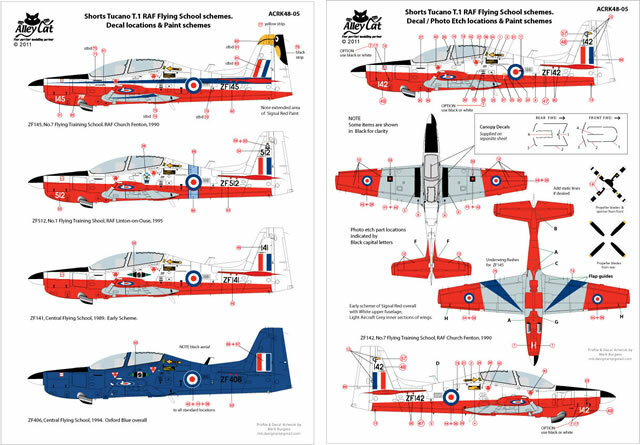 A2Zee will also have these two latest boxing of their 1/48 scale Tucano kit on hand at Telford, with six colourful new schemes between them. 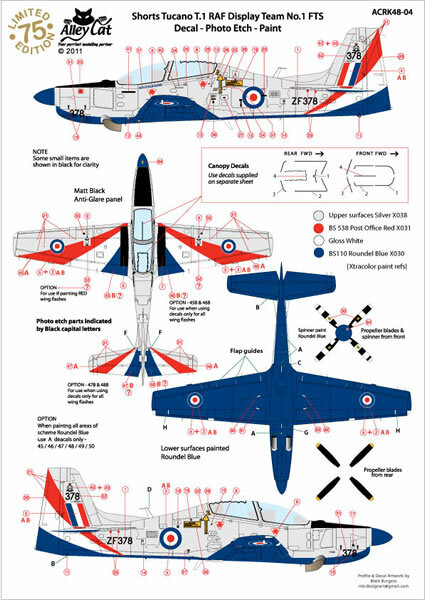 The price is £45.00 plus shipping.